More guitars are sold in black or natural finish than in any other color. Nobody wants green guitars. 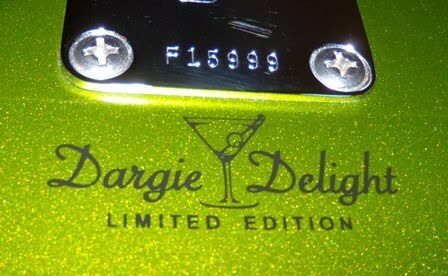 That is the premise behind the Dargie Delight limited edition guitars and basses that the Ernie Ball MusicMan company sold a few years back. This history of these is a little vague to me, but I will give it my best shot. I am welcome to suggestions and corrections so get in touch with me or leave a comment if you wish. Before I get to the history I had better explain what these are, in case you have not seen one before. Most obviously, they are finished in the stunning Martini Olive green finish. This color is exclusive to this edition. 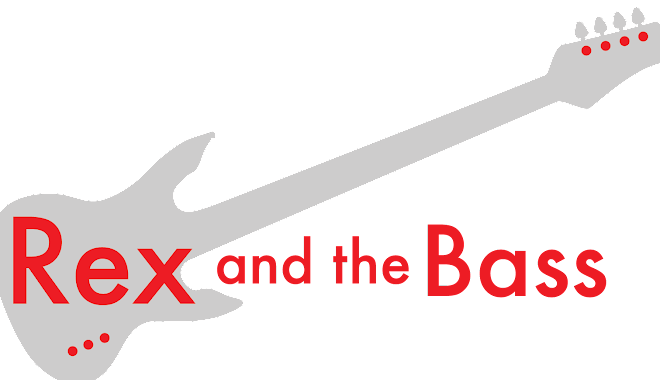 The fret-marker inlays are extra-cool martini glasses (complete with olives), and there is a limited edition logo by the neck plate. There are no differences in the hardware or electronics. 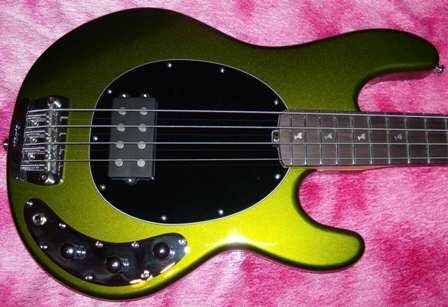 The name came from Scott Ball, who uses the pseudonym “Dargie” on the Ernie Ball Forums. Scott runs the MusicMan guitar operation in San Luis Obispo, California. 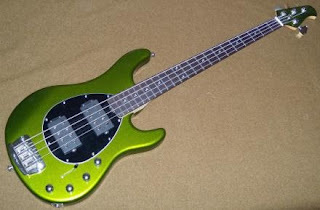 This finish was first shown at the 2006 NAMM show, and Sterling Ball (Scott’s dad) was quoted as saying that green guitars do not sell well. There was some conversation on the Ernie ball forums, and it was decided that these guitars and basses could be ordered through dealers during a brief (one or two week) order period during the summer of 2006. Only about 277 were ordered with this finish, and they were delivered during the spring of 2007. That about covers it for now, and I appreciate that you checked in today. Rex, yah gotta love the Dargie 1's man. I miss my Dargie Luke, but it went to a good home.